When it comes to Caviar, one thing comes to mind: Black Gold. With the finest sturgeon coming from the waters of the Caspian Sea, Persian caviar is one of the Greatest caviar manufactures in the world. 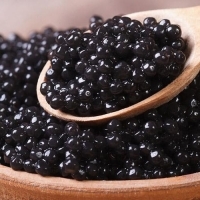 We are supplying the best-framed caviar of the Caspian Sea to the domestic and international markets. We are presenting Beluga Caviar (Culture Production Caviar) in 4 sizes Imperial Excellent (size 3.1 - 3.2) Imperial (2.7 - 3.1) A (2.5 - 2.7) B (2.2 - 2.7) Our Caviar is presented in 30,50,100 and 200-gram-tin and glass jars for the retail market 500 and 1000 gram tins for the wholesale market. Bed sets, bed sheets, saffron, eyeglasses, sunglasses, optical frames, beluga caviar, watches, handmade costume jewelry,, artificial jewelry, artificial bangles, artificial earrings, artificial necklaces, artificial rings, artificial anklets, artificial bangles, imitation jewelry, Caviar, Sea Caviar. Red onion, fresh onion, yellow onion, small fresh onion, small red onion, spring onion, white onion, sweet onion, sugar, rice, basmati rice, ponni rice, rohu fish, catla fish, mineral water, packaged drinking water, potato, cardamom, spices, cinnamon, cinnamon stick, sunflower oil, sunrich sunflower oil, nice aqua mineral water, prawn, tapioca powder, tapioca starch, garlic, egg, broiler eggs, poultry eggs, coriander, pepper, A4, A4 copy paper, A4 copy sheets, areca plates, areca leaf plates, eco plates, areca leaf bowls, areca bowls, glossy photo paper, matte photo paper, A4 glossy photo paper, A4 photo paper, toothpick, bamboo toothpick, mint toothpick, non woven bags, cotton bags, aluminium insulated bag, cotton tote bag, eco friendly bags,corrugated box,packing box,tempered glass,mobile accessories,phone case, toys,teddy bears,usb cable,drone,camera drone,cctv camera,electronics,thera band,Thermal Food Cooler Bag,coller bag, Insulated Tote Lunch Bag,kids cycle,toy cycle. Caviar black sturgeon, fish eggs from the manufacturer from Russia. Agriculture products, dry fish, garlic, frozen fish, ginger, cooking oils, refine and crude vegetable oils, soybeans oil, corn oil, palm oil, sugar, milk, baby diapers, corn barley, wheat flour, wheat grains, Soya beans, cocoa powder, cocoa bean, coffee beans, chicken eggs, frozen chicken, ostrich feathers, ostrich eggs, frozen beef, dairy products, oranges, lemons, limes, carrots, chemicals, meat and poultry, dried or frozen seafood, fresh or frozen or dried fruits and veggies, rice, beverages, seafood, fish, fish products, processed food, farm inputs, grains, fruits. Milk powder, chicken feet, chicken paws, energy drinks, copy paper, baby milk formula, powder milk, fresh eggs, butter, sugar, refined cane sugar, heineken beer, skimmed milk powder, full cream milk powder, whole milk powder, a4 copy paper 80gsm, copy paper, frozen chicken feet, frozen chicken paws, frozen horse mackerel, frozen tilapia fish, fresh chicken eggs, fresh brown eggs, frozen pork feet, frozen duck feet, aptamil baby milk formula, baby milk powder, unsalted butter. Canned food like cherry, strawberry, apple, yellow peach, white peach, cherry apple, apricot, plum, fruits cocktail, vegetable cocktail, quail eggs, fish and frozen fruits. 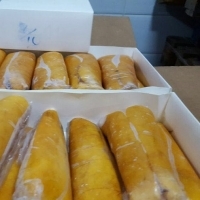 Garlic, pepper, ginger, preserved duck egg, vermicelli, aquatic product, such as frozen monkfish, chum/pink salmon, cod, squid tube/ring/flower, shellfish, frozen cooked chicken meat, chemicals and clothing.